The Mermaid of Hilton Head didn't always live around the island; she used to travel up and down the East Coast with her mermaid pod. When passing by Hilton Head Island, she often noticed that the sea turtles seemed stressed. The mermaid set out to investigate the problem and find a solution to save the turtles! After discovering a simple solution to the turtles' problems, the Mermaid of Hilton Head dedicates her life to make sure the island's sea turtles are safe and happy. The Mermaid of Hilton Head takes children on an aquatic adventure while teaching them about nature conservation. Kids will love getting to know the Mermaid of Hilton Head - and they'll be thrilled to know that a simple action can help save the island's sea turtles. Sammy is a Sand Dollar who loves to go on adventures with his friends, Stu the starfish and Lily the dolphin. One day, their adventure takes them too close to shore and Sammy is put in danger when a person takes him out of the water. How can Stu and Lily save their friend when they can't leave the ocean's safety? Luckily, a child on the beach sees what happens and takes action to return Sammy to where he belongs: in the water. Sammy the Sand Dollar teaches children basic language skills while informing them about aquatic wildlife. Kids will love going on an adventure with Sammy and his friends, and they'll learn the importance of respecting nature and all of its animals. The Mermaid of Hilton Head is at it again in The Mermaid of Hilton Head: A Christmas Coral, and this time, she has a famous, jolly man along for the ride! This mermaid coloring book was illustrated by Mermaid Nina herself. This book has 25 unique images that will keep the kids occupied for hours. Color along as the Mermaid of Hilton Head swims with turtles, dolphins, sharks and more. The Mermaid of Hilton Head: A Tale of Tails - Coming soon! One day, the Mermaid of Hilton Head was swimming along when she felt something gab her tail. When she discovered it was litter and she was unable to remove it, she had to take a trip to the Sea Turtle Care Center to have surgery. Once the litter was successfully removed, the thought occurred to her: What if this happens to my ocean friends? The Mermaid of Hilton Head then teamed up with Captain Rick to search for a solution to decrease ocean debris. 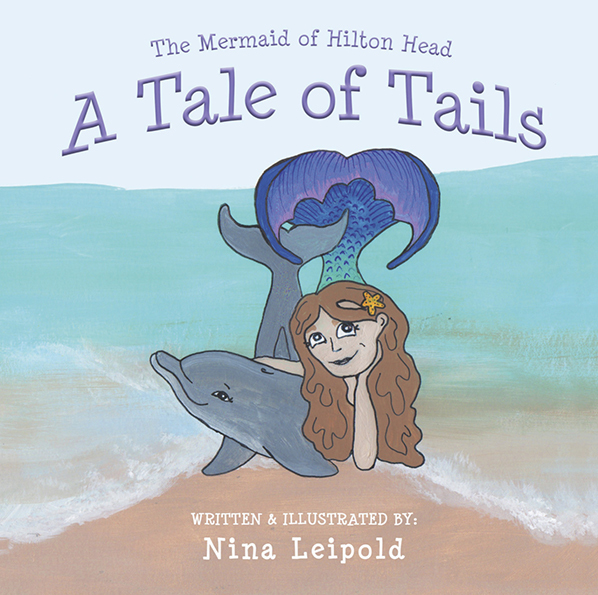 The Mermaid of Hilton Head: A Tale of Tails is a fun, educational story that will have kids wanting to learn more about ocean creatures and their ecosystem.